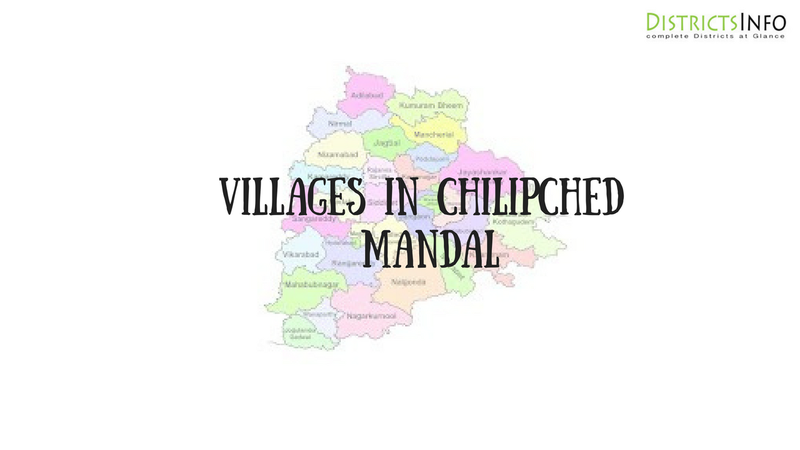 Chilipched Mandal with New villages in Medak district: Chilipched is a Mandal in Medak District of Telangana State. It belongs to Telangana region. It is designated 32 KM towards North of District head quarters Sangareddi. 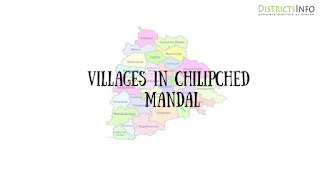 6 KM of Kowdipalli.Chilipched Mandal consists of 13 villages.we have listed here, Chilipched, Chitkul, Ramdasguda, Gouthapur, Chandur, Somakkapet, Faizabad Banda Pothugal, Ajjamarri, Gangaram, Jaggampet, Rahimguda, Antharam.Also, check Kulcharam Mandal new villages.